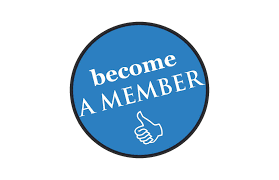 *Member Tuition Reimbursement Program is for NHCFAE Members ONLY. * Enrollment and completion of a program or course(s) of higher education MUST have been within the previous calendar year. * All applications must besubmitted by midnight on the expiration date. * The NHCFAE Scholarship Selection Committee evaluates application packages and all decisions by the committee are FINAL. * Complete the application form by clicking Application for Member Tuition Reimbursement Program. Leave no blanks; if an item does not apply, indicate with “N/A”. Incomplete applications will not be processed. You may upload a word document to answer some of the questions if needed. * Submit proof of successful course completion, showing name, grade and date of completion. * Upload of proof of payment to educational institution MUST be attached. * Selected applicants will be acknowledged during the Annual National Training Conference. Recipients names will be published in the NHCFAE in La Palabra magazine. Questions in reference to this Scholarship program may be submitted to the National Director of Education at doe@nhcfae.org.